Core De Force | Country Heat | What is a Beachbody Coach | Where To Buy Shakeology | 21 Day Fix: Beachbody on Demand All Access Membership PROMOTION! Beachbody on Demand All Access Membership PROMOTION! If you follow me on any of my social media sites, then you may have noticed some big news that Beachbody announced this week! In January 2017, Customers and Coaches had a brand new option that truly was the revolution of at-home fitness!! 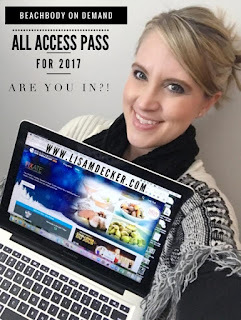 Beachbody on Demand ALL ACCESS was launched and more people than ever took advantage, including myself! I can remember back in the day using my old Pilates VCR tapes and then thinking that DVD's were just the absolutely coolest invention! So, for a greater part of my life I collected DVD after DVD of movies, workouts, games, etc. 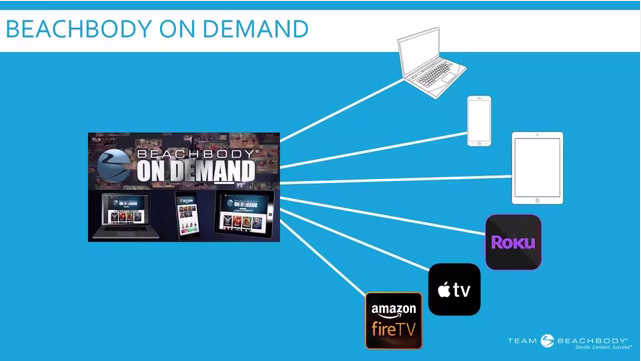 When Beachbody first announced their concept of Beachbody on Demand in January of 2015 I wasn't that excited. I mean, why would I need that if I have my DVD's, right? Using my laptop, ipad, iphone, and/or smart TV to access my workouts? That's too much work! But as the world evolves we are seeing more and more of live streaming and streaming of movies, TV shows, and now, workouts! Things change!! And a lot of times, they change for the better! I could probably go on and on but I'll spare you and get to the point! 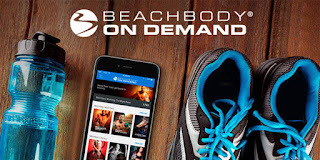 Beachbody announced their ALL-ACCESS Beachbody on Demand Challenge Pack a few months ago! I'm sure your thought right now is....ok, big deal. What's that? Exclusive only workouts that can not be purchased in DVD form. 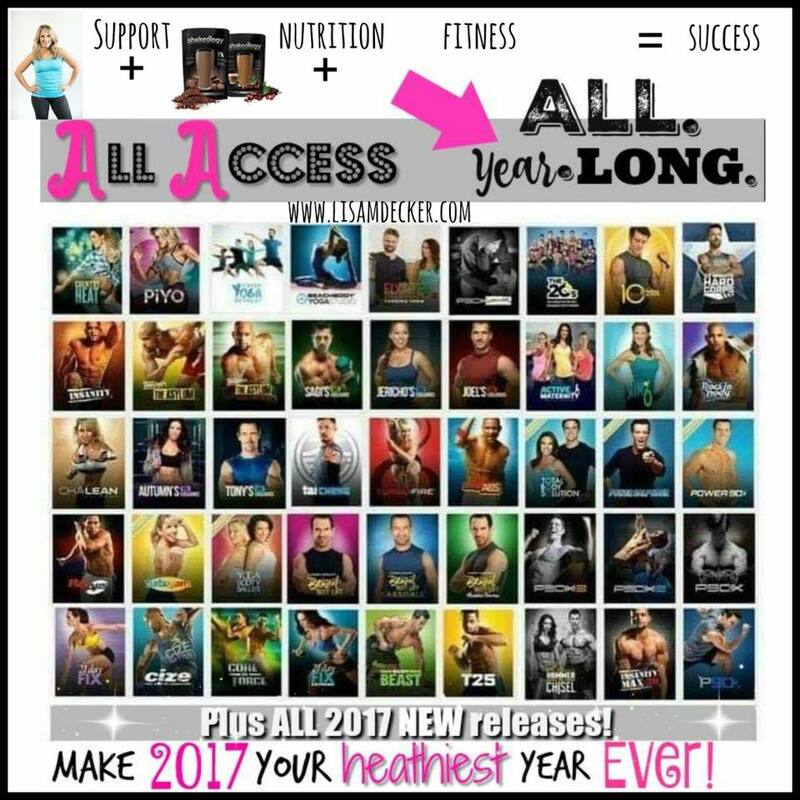 The biggest perk: ALL NEW 2017 WORKOUTS that Beachbody releases will be automatically uploaded into the On Demand library at NO ADDITIONAL CHARGE! AND the first new program will be announced in APRIL 2017! Nutrition: 30-day supply of Shakeology, Portion Fix container system, plus all the nutrition guides and recipes available on Beachbody On Demand. 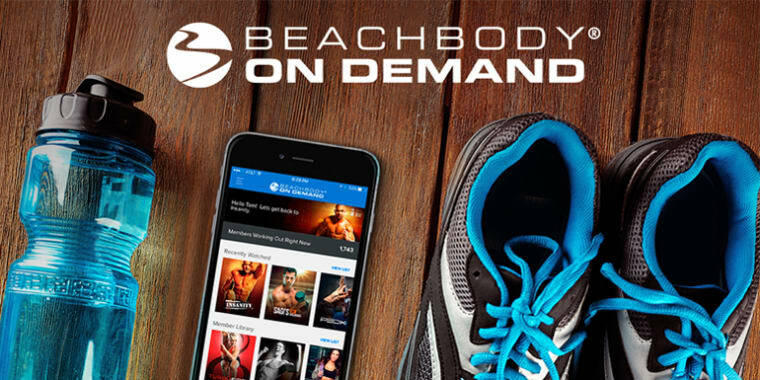 Fitness: Annual All-Access Beachbody On Demand membership, with access to every program, including upgraded versions and new programs added throughout the year. 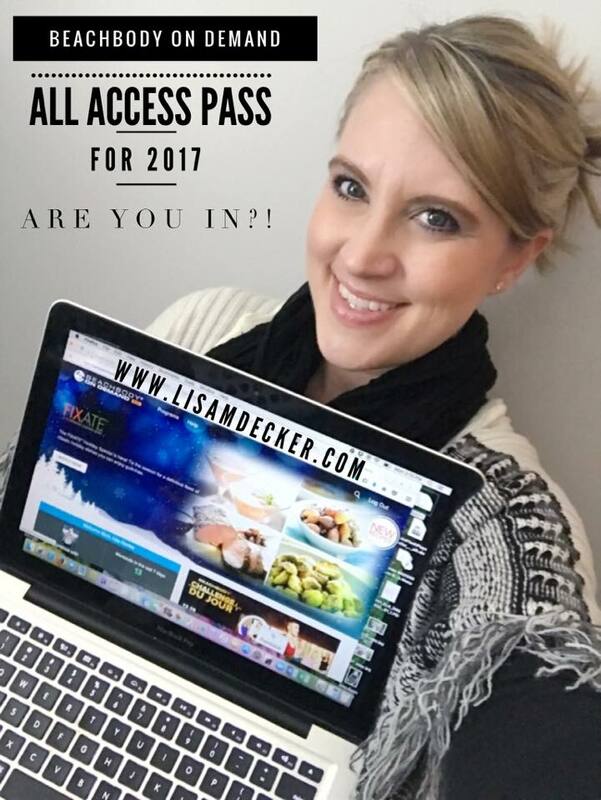 Support: Access to my monthly virtual accountability groups throughout 2017 as well as 1:1 support, motivation, and accountability! →I do want to note that my groups are for my personal customers ONLY. On April 17th, I am kicking off my Spring Detox accountability group. It will be right after Easter so we can rid our bodies of that Easter Candy and get in shape for the upcoming Summer season! This sounds GREAT! BUT, how much does it cost? As you were reading through this post I'm sure you thought it all sounds fantastic, but in the back of your mind you were probably thinking....this is going to cost a fortune. BUT GUESS WHAT?! 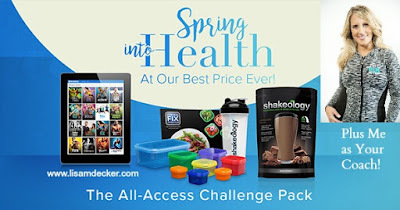 As a LIMITED TIME SPRING INTO HEALTH APRIL PROMOTION, Beachbody has decided to SLASH the price! When this pack was first released it came out at $199. Quite frankly, that is a pretty good deal. →BUT, the price has been cut to $160!!! SAY WHAT?! That's right. For $160 you get your FULL YEAR MEMBERSHIP, PORTION FIX NUTRITION PLAN / CONTAINERS & A 30 DAY SUPPLY OF SHAKEOLOGY! To put this in perspective, Shakeology alone is $130 plus shipping and if you were to purchase everything in DVD form that is offered on Beachbody on Demand (which technically you can't since there are so many exclusive workouts), it would be over $5,000!!! I know this sounds a little "salesy" but it's hard not to be excited at this AMAZING opportunity! Option 2: Beachbody on Demand All Access KICKSTART Challenge Pack (includes 3 Day Refresh). I want 2017 to be YOUR YEAR and it's not too late to get strated! I want to help you make a change that will have a positive impact on both you and your family. Instead of thinking of all of the reasons why you "can't," think of all of the reasons why you SHOULD and why you CAN! So now I ask....Are you in? !